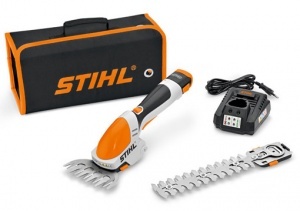 Use your STIHL HSA 25 while standing up with this handy attachment. This telescopic shaft has smooth-running wheels and is adjustable between 95 and 100 cm, with a working angle that can be adjusted through 125 degrees. 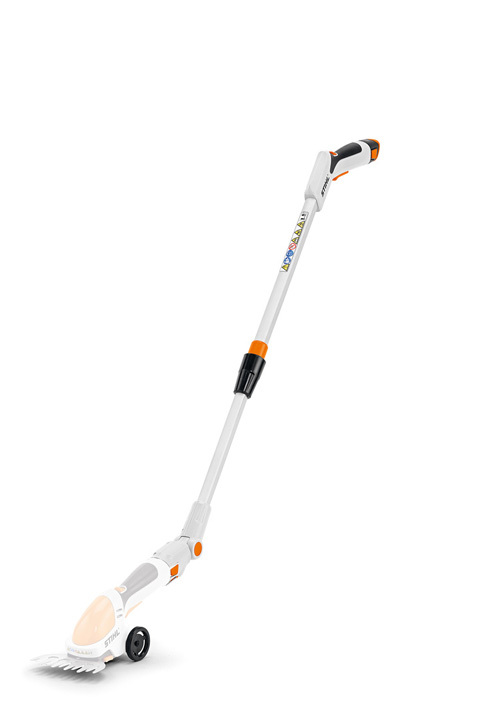 It is designed to allow you to use the STIHL HSA 25 while standing up to edge around smaller lawns (only for use with the HSA 25's grass blade attachment). Please Note: Does not include the HSA 25 shrub shear tool itself.